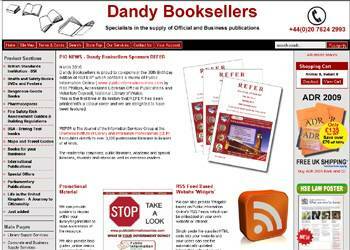 Public Information Online is a valuable service from Dandy Booksellers. It is a web-based archive of searchable Parliamentary and Official documents and is the only resource which will allow you to view so many Parliamentary publications in one place as PDFs. Website updated daily - PDFs available on the day of publication. Multiple search options: Find documents by title, category, paper number, corporate author, session, ISBN etc. 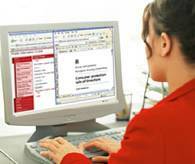 Accessibility - PDF documents are all fully searchable and compatible with screen readers. Subscribe to Public Information Online by parliamentary Session. Once you have purchased a Session's worth of publications it is yours for perpetuity. With customisable RSS feeds and email alerts you can make sure you stay up to date with areas of interest. Narrow your alerts down by Parliament, Corporate Author, Document type and more. New Bill Tracking feature can alert you each time a publication is issued relating to your chosen Bill as it progresses through Parliament. At less than a quarter of the cost of hard copy, Public Information Online could be just what you are looking for. Save space, Save time, Save money - Sign up today ! We are offering a free no obligation 30 day trial of Public Information Online.